22nd January 2019 – Scotland’s Minister for Trade, Investment and Innovation, Ivan McKee, presented Gerry Facenna, Chair of Glasgow-based Allied Vehicles, with a Primary Engineer Special Recognition Award. 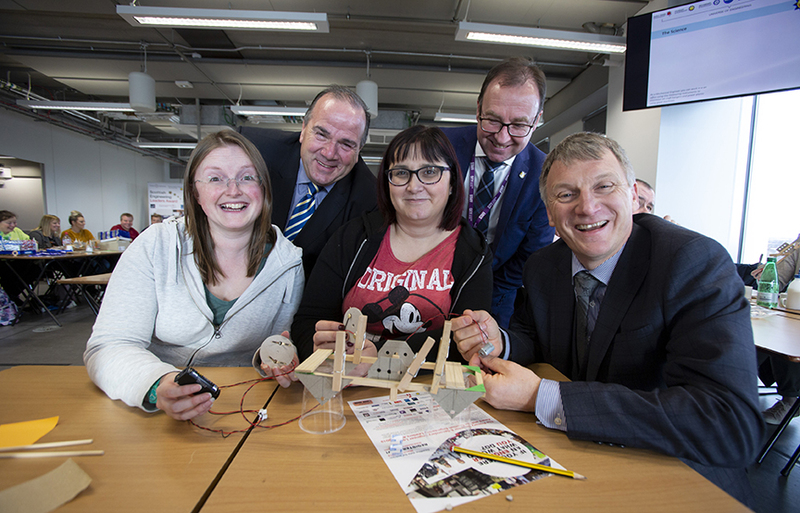 The Group has funded engineering projects for thousands of primary school pupils, and training for hundreds of teachers, across the city. 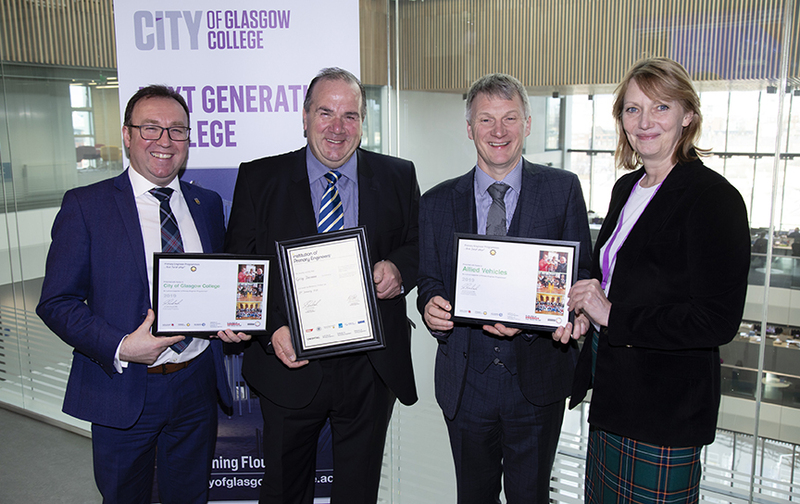 Left to right: Roy Gardner, Vice Principal, Corporate Development and Innovation at City of Glasgow College; Gerry Facenna, Allied Vehicles; Ivan McKee, Minister for Trade, Investment and Innovation; Dr Susan Scurlock, MBE.